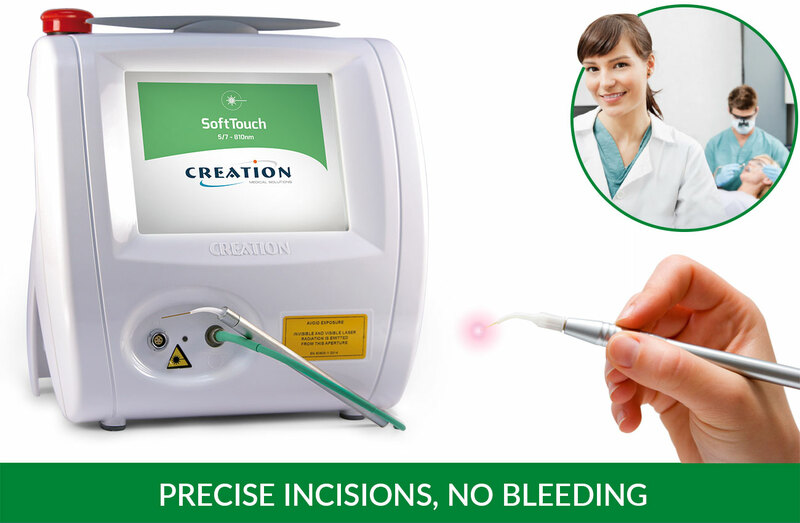 The SoftTouch dental laser meets all requirements for surgery on the oral cavity soft tissues and has been successfully used in many complex dentistry applications. It reduces pain, lowers the bleeding and helps reducing the surgery complications, thanks to the decontamination and bio-stimulation action of the high-intensity light. 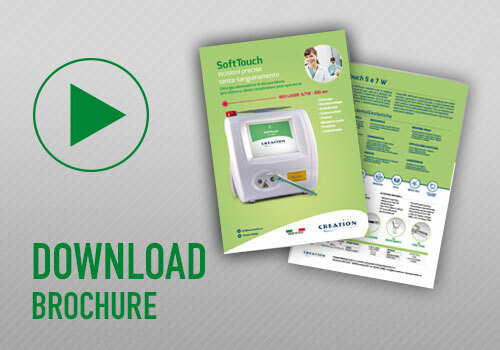 CML SoftTouch laser has been designed and manufactured to be versatile, ergonomic and easy to use. The front output of the connection to the optical bre and the large colour touch-screen display makes it extremely easy to use, to select treatments and check the device status. The laser is supplied in a package ready for use and comes with a standard kit of accessories. • Extremely robust, compact and easy to carry. • Ideal for Dental Hygienists. • Perfect for the most common dental applications such as bleaching, bio-stimulation and decontamination. • Wide range of pre-set treatments. • Battery-operated or power supply unit.